As a travel writer, I admire every bit of nature. While going through the all India travel guide in search of beauty, adventure, spirituality and relaxation – I came across Sikkim. Our Hindu religious texts have called Sikkim as ‘Indrakil’, which literally means ‘the garden of Lord Indra’, which is a beautiful place and clearly they take the General Landscaping here very seriously. I arrived at Bagdora airport in north Bengal, 124 km from Sikkim. I covered the rest of the distance by a taxi. Most of the people use Nepali, Lepcha Bhutia, Limbu and English as their official languages here. Still I came across some Hindi loving people. I admired crystal clear waterways, chirping birds, pleasing greenery with dew drops and Buddhist chantings throughout the journey, which are some of the tourist attractions of Sikkim. People consider it as their heaven. I was booked in Orange Village Resort in Gangtok, the capital city of Sikkim. 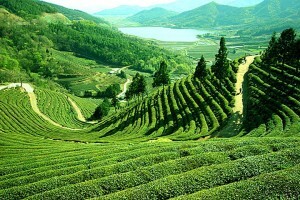 Well, Gangtok Tour is a famous tourist attraction of Sikkim Tourism. My room offered superb views of the magnificent mountains, lush green vegetation and beautiful rivers. As an explorer of food, I attacked rice and meat during my lunch. The waiter offered me a local drink ‘Chang’, which was of made from fermented millet. It was served in a bamboo container with a bamboo pipe. I spend the evening at leisure. As my exploration started the very next day, I came across the market area. Shops were loaded with a wide variety of wood crafts, woollen carpets and blankets, jewellery, and famous paintings called ‘Thangkas’. My sightseeing started with ‘Rumtek Dharma Chakra Centre’, which houses some of the world’s rarest religious scriptures, manuscripts and articles. Belonging to the Kagyud order, it has over 300 centres in the entire globe. Similarly, the Labrang and Pemayangste Monasteries are a few other popular ancient Buddhist centres. Considering myself as a daredevil, I also enjoyed the famous Gangtok Ropeway. I spent a few minutes at the Ban Jhakri Falls and the Energy Park attached to it. After capturing various ethnic sculptures and figurines of the Jhakri culture in my camera, I enjoyed my lunch at a roadside restaurant. Next I headed for Pelling to visit waterfalls, trek routes and tranquil aura around. 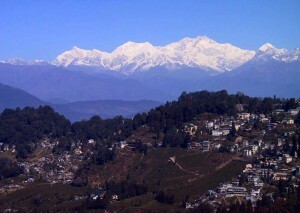 The best part with the place was the splendid snow-clad Kanchenjunga peak. After a half day excursion to Pelling, I left for Yuksam – the first capital of Sikkim. It boasts of being the gateway to Shangri-La or Ney- Pemathang. 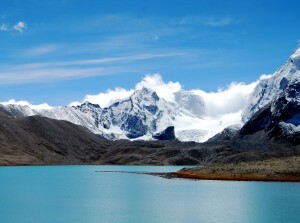 I hired a guide there and enjoyed trekking to Tshoka-Dzongri-Goecha. I also paid a short visit to the 300 year old Dubdi monastery that houses of some of the ancient Buddhist manuscripts. I enjoyed the traditional Lu Khangthamo dance there. Up to this destination, I had started loving this north east paradise. I got back to my hotel to take a tight sleep. A lot was left behind to explore in Sikkim.